Istanbul Cooking Classes are held in a Turkish home by a native home chef in English and/or French. Lunch is composed of at least six delicious Istanbul & Turkish Cuisine recipes and prepared during the class, then served accompanied by Turkish boutique wines. Home cooking in a real Turkish home! We teach you how we cook for our families or when we have friends for dinner at our Turkish Culinary School . Vegetarian, vegan and gluten free food are not challenging options for us – it’s easy being green and creating exciting Turkish vegetarian,vegan and gluten free recipes at Turkish Flavours. 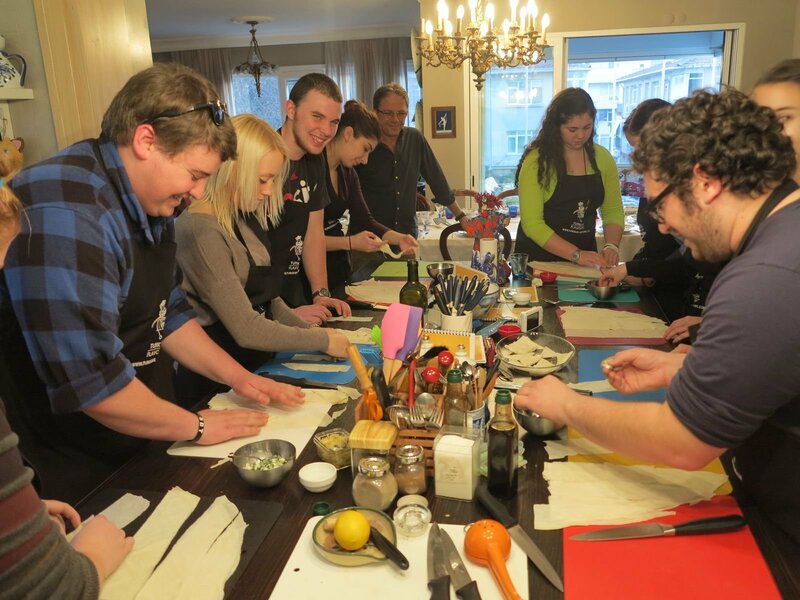 Our Istanbul Cooking Classes are 2-12 people and open to the public. If you would like to do a private Istanbul Cooking Class, we can arrange one for an additional fee. Please contact us at selin@turkishflavours.com for more information.